Denny G. asks: Why do baseball managers wear the team’s uniform instead of a suit or something like that like you see in other sports? 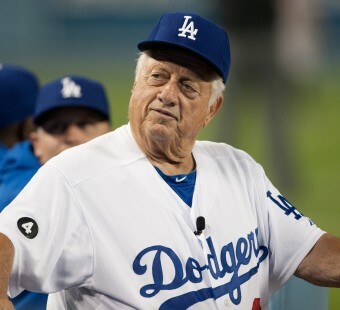 It especially seems weird because managers in baseball seem to universally let themselves go after their playing days are over and tubby old men do not look good in sports uniforms! Football coaches wear clothes bearing their team’s logo thanks to the NFL’s push to sell more merchandise. Basketball coaches stand on the sideline in collared shirts and blazers looking for a neat, professional look. And then there are baseball managers who dress in the team uniform, as if they are planning on joining their players on the baseball diamond. Despite that today’s managers are universally beyond the point where they could play at a level worthy of putting them in the field, the tradition of them wearing the team uniform dates back to a time when that’s exactly what they did. Specifically, the position that managers hold today used to be typically held by the team captain. This person was a player responsible for making decisions about plays on the field during the game. He wore the team uniform because he often took to the field to play alongside his teammates. Over the course of baseball history, managers gradually stopped going onto the field to play alongside the men that they coached. As this happened, contrary to what you see today, a few of them began to distance themselves from the tradition of wearing a uniform. Instead, they wore suits while managing. In fact, famed manager Connie Mack wore a business suit for each of the fifty years that he managed the Athletics. A former manager of the Brooklyn Dodgers, Burt Sutton, also shunned his team’s uniform. But this wasn’t the norm and their idea for how a team manager should look failed the test of time. John Thorn, the official historian of the MLB, has his own take on why this is the case. “Maybe it’s just a testament to the notion that, no matter how old you get, between your ears you think that you’re a baseball player.” After all, the body gets old, but so often, particularly if those you hang around are younger (and in this case incredibly athletic), the mind still feels like you’re young and vibrant as ever. Many MLB managers also have been wearing a baseball uniform since they were little kids, so it may just seem more comfortable for them, despite their expanding girths. As you can see from this, while players and coaches are explicitly required to wear uniforms, there is no mention of managers specifically needing to wear the team’s uniform, nor will you find such a reference explicitly stated anywhere in the rule book. In fact, they even allude to the fact that managers are not required to wear a uniform in rule 3.15: “No person shall be allowed on the playing field during a game except players and coaches in uniform, managers, news photographers…” mentioning that players and coaches must be “in uniform” but putting managers in a different category. Managers would presumably be considered “team members” even though that is not specifically defined in the rule book. Since they certainly spend a lot of time in the bench or dugout during the game, and the team members there are explicitly required to be in uniform (and there is no mention of the manager being allowed in the dugout otherwise), then it would follow that managers should be in uniform too. However, when defining coaches, as mentioned, the rule book explicitly states “is a team member.” The manager, on the other hand, is defined “is a person…” So perhaps assuming managers are team members by the official rule book definitions is not correct. Moving on, in rule 4.07 it also states that, “When a manager, player, coach or trainer is ejected from a game, he shall leave the field immediately and take no further part in that game. He shall remain in the club house or change to street clothes…” also implying the manager should be wearing special attire while managing, though it’s not clear from this whether this is just supposed to adhere to the general MLB dress code or requires the manager to wear a uniform. And since it’s been a long time since any manager tried to wear something like a suit, which certainly is within the bounds of the MLB dress code, it’s not clear what officials would do if a manager tried wearing that during the game instead of a uniform as tradition dictates. As noted, in some instances, the rulebook seems to go out of its way to imply the manager is not required to wear the team’s uniform, while in the definition of a “bench or dugout” perhaps implying they should, hinging on whether they are officially considered team members by the rule book’s definitions. Of course, a player can also be the manager or designated such, in which case they are required to wear a uniform, but it’s been a few decades since the last time that happened when Pete Rose had a stint as a player/manager for the Reds starting in August of 1984 through his retirement as a player in 1986. So, in the end, as to how this all got started, it would seem originally individuals who did the job of managers today simply wore the uniform because they also were players, or at least started out that way in many cases, and later it just became a tradition. And baseball is, perhaps more so than any other major sport, all about tradition and fighting tooth and nail before changing the way things have always been done. Major League Baseball only started requiring base coaches to wear helmets in 2008, after the death of a minor league first-base coach the previous summer who had been struck in the head by a hit baseball. Base coaches who refuse to comply with the rule are subject to ejection from the game along with a significant fine. Given that a ball hit on a line tends to have more kinetic energy than a .22 caliber bullet shot from a gun; the ball can reach one of these base coaches in around 0.5-1 second; we’re learning more and more the long term consequences of even minor concussions; and many of the coaches are older with reflexes not what they used to be, this is probably for the best. Despite this, not surprisingly considering it’s not the way things used to be done in baseball, some were very resistant to the change. Larry Bowa even briefly refused to wear a helmet and stated “There are a lot of coaches that I’ve talked to who aren’t saying anything, so I feel like I’m talking for those guys. They don’t want to wear them.” He further stated he was willing to pay whatever fine was laid down for every single game he coached in. However, after making these statements, the MLB brass gave him a stern talking to, no doubt telling him he’d also be ejected from every game he didn’t wear his helmet, and the next game he was grudgingly wearing said helmet. Managers are allowed to wear approved pullovers, jackets, or other such attire meant to keep themselves warm on top of their uniforms during cool weather. But some managers have in the past pushed the boundaries by not wearing attire that conforms to MLB dress code guidelines underneath that outerwear. Thus, checks to see what they are wearing under their jacket or pullover can occur during the course of the game. Former Boston Red Sox manager Terry Francona complained about such a check that occurred while his team was at-bat during a 2007 game against the New York Yankees. 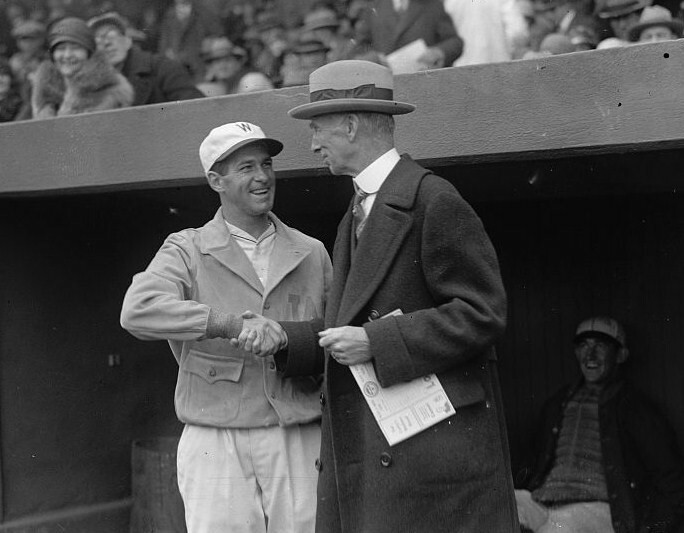 MLB officials later agreed that the staff member who conducted the dress code check acted poorly in forcing the manager to leave the dugout and go into the clubhouse while play on the field was taking place. Interestingly, if a manager, in his rage of being thrown out of a game, forgets to explicitly designate his replacement before leaving, it is the head umpire who then decides what team member will act as the substitute manager, and the umpire is thus perfectly within their rights to choose one of the players, rather than a coach, if he so chooses. What If Other Sports Coaches Wore Uniforms Like MLB Managers? As to “change into street clothes” it also listed trainers as someone that had to “remain in the clubhouse or change into street clothes.” I don’t believe trainers typically are dressed in team uniforms (according to memory and a quick image search, so I could be wrong), so I don’t think that section regarding ejections would hold much weight as a mandate that managers have to wear uniforms. The players and coaches in uniform have on-field responsibilities while the ball is “in play” (playing or base-coaching), I think the stronger presumption is that the manager could still make management decisions in street clothes and would presumably have to just remain in the clubhouse. Some managers have been in trouble for not wearing a jersey during a game but only a team approved jacket or pull over. Rule 1.11, Section a, number 1 and 3 which you mentioned is the reasoning for it being considered an infraction. For myself, I believe the manager of a baseball team should be attired in proper uniform as his actions are part of game play and therefore he is in fact active member of the team. The only exception would be the allowing of a jacket or pull over in addition. Oddly thought I expect coaches of other sports to be attired in suits or shirt and tie such as Coach Ditka.